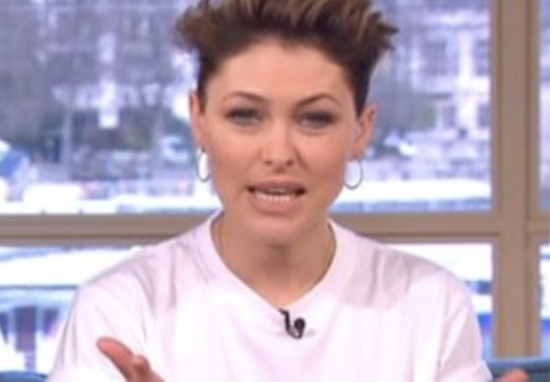 Fans of This Morning were left opened mouthed when Emma Willis dropped a swear word live on air. The slip of the tongue was made even more awkward by the nature of the serious subject matter, which left mortified viewers gasping at their TV screens. The 42-year-old presenter had been conducting an emotionally charged interview about a 30-year-old missing person case when an accidental curse word popped out. Temporary This Morning co-presenters – Rylan Clark-Neal and Emma – interviewed former police detective and journalist Mark Williams-Thomas about his ongoing investigation into the mysterious disappearance of Louise Kay. Louise’s father Peter and sister Nicola Stork were also present. It was at this point Emma tried to say ‘of the earth’ but it came out as ‘of the arse.’ She quickly corrected herself and fortunately the guests did not appear to notice or mind the error. Like true professionals, Emma and Rylan continued the interview without missing a beat; leading many viewers to applaud the way they picked themselves up after the mishap. If this wasn’t such a serious segment they’d all be laughing. Kudos to Rylan and Emma for not cracking up. ‘Off the face of the arse’ *awkward silence* I couldn’t stay serious. When Emma said arse you could tell Rylan wanted to laugh but he couldn’t as it was during a serious topic. Sussex teenager Louise vanished back in 1988 when she was just 18 years old, following a night out in Eastbourne. According to the Eastbourne Herald, the last sighting of Louise was when she dropped her best friend Sarah Emmerson off in her father’s distinctive car. However, neither she nor the Ford Fiesta – which was gold with one white door – were ever seen again. Williams-Thomas will be examine Louise’s unsolved disappearance at the start of a second crime docudrama series. He will reportedly be drawing evidence from Louise’s diary. It’s the biggest regret of my life. She didn’t want to come in and wanted to sleep at Beachy Head. I do feel guilty. If I could have done something different we wouldn’t be sitting here now. Williams-Thomas believes Louise was murdered by convicted serial killer Peter Tobin, who is currently serving serving life sentences for the murders of 15-year-old Vicky Hamilton, 18-year-old Dinah McNicol, 23-year-old and Angelika Kluk. Williams-Thomas is now trying to convince police officers to dig at the site where he believes Louise’s body was buried. I start by trying to find some answers for Louise Kay’s loved-ones after I met her family and they asked for my help. I retrace her final steps and discover shocking revelations about Peter Tobin, the prime suspect in her murder. And what I then discover is the sheer scale of unsolved murders and young women who have gone missing in this country and we don’t know the answer. It’s truly shocking. 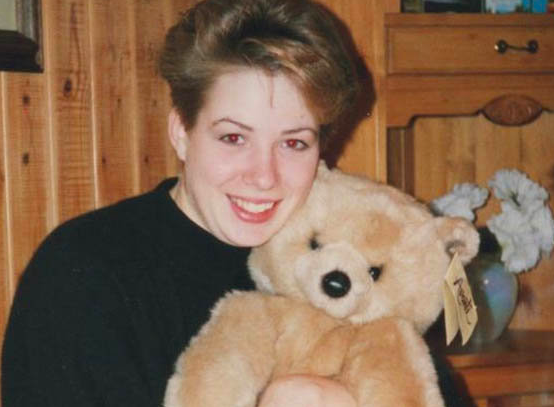 Was missing Eastbourne teen murdered by serial killer?